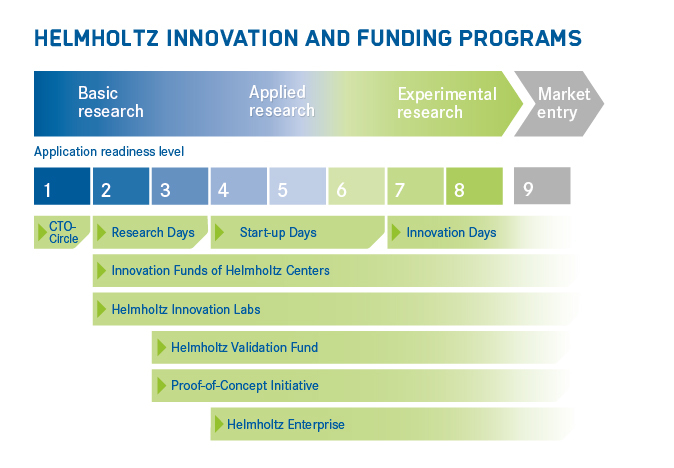 The Helmholtz Association has several knowledge and technology transfer instruments. Each starts at different stage in the application-readiness level, in the progression from basic research to application, and each helps researchers bridge specific gaps in the transfer pathway. The Helmholtz Association’s transfer instruments are highlighted in the following illustration and short descriptions.